WEBcnx is Arden Software’s project life-cycle management and workflow automation tool created exclusively for the packaging industry. 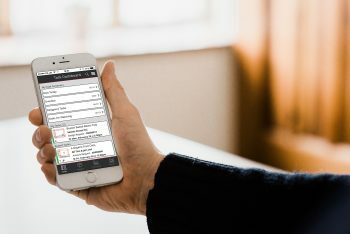 The new release promises improved performance, an enhanced design library and additional functionality for handling prospective customers, including the ability to customise their contact information. Pete Barke, WEBcnx Product Manager, said: “WEBcnx is a cutting-edge workflow solution designed specifically for the packaging industry and has the ability to automatically project manage your packaging production across the world. “Its powerful workflow automation capabilities are designed to keep projects moving and we’re very proud to unveil our latest release of this innovative software, which has been developed by our team of expert developers in response to our customers’ needs. Acting as a virtual project manager, WEBcnx has the power to send your emails, make requests and make the right decisions on your behalf, ensuring your people know what to do and when to do it. WEBcnx is compatible with our Impact software and is fully customisable to customers’ individual workflow systems, and has the ability to integrate customers and suppliers into the design and approval process. The Arden Software Development Team is now working on WEBcnx 2018 R2, which is expected to be released later this year.